We thought Tiger Woods would never be able to win a Major with a smile on his face. We felt he couldn't be a good guy and a great champion at the same time. Now we know differently and I'm so happy to be so wrong. Relive how the final round unfolded during the 83rd Masters at Augusta. The joy he showed us on Sunday was as pure as his performance and, perhaps for the first time ever, it was something he was able to share with us all as well as his family. This victory was more than redemption or rehabilitation. It was the birth of a new Tiger Woods, an unrivalled superstar who can now truly connect with his fans and communicate his happiness to the world at large. His first 14 Majors wins inspired people to love golf, but the 15th surely persuades us to love the story of a life turned around, a body and soul somehow healed. This was certainly one of the great sporting comebacks of all time, but it was also a personal triumph for a man who could so easily have thrown in the towel when life got the better of him. Butch Harmon looks at how Tiger Woods' win compares to his other major victories. Just as easily, he could have returned to golf with a scowl on his face. He could have snarled at the doubters and conformed to the view that he had to be mean and nasty to be great. Instead, he embraced a softer side of life and allowed himself to be honest and open in the face of even his most awkward inquisitors. He seemed to accept that others were entitled to take a view about his future and instead of becoming angry or frustrated, he simply channelled his mental energy into more positive areas. His more spiritual approach to life was rewarded when he won the Tour Championship in Atlanta last September and the biggest galleries the event has ever seen delivered a rare outpouring of love and affection. We wondered if that would be as good as it got for Tiger, and certainly his tired performance at the Ryder Cup a week later suggested his glory days may be limited. Now we know that fate had already reserved a special place in history for him at Augusta National. It had to be there really, because, whilst other places had sometimes harboured mixed feelings towards Tiger, Augusta's love was always unconditional. And so Sunday, April 14, 2019, became one of those occasions when the thrill of sport spilled over into the joy of life. It's one we should treasure. I said recently we should savour every moment of Tiger's remaining career because he may not be able to keep going for much longer. 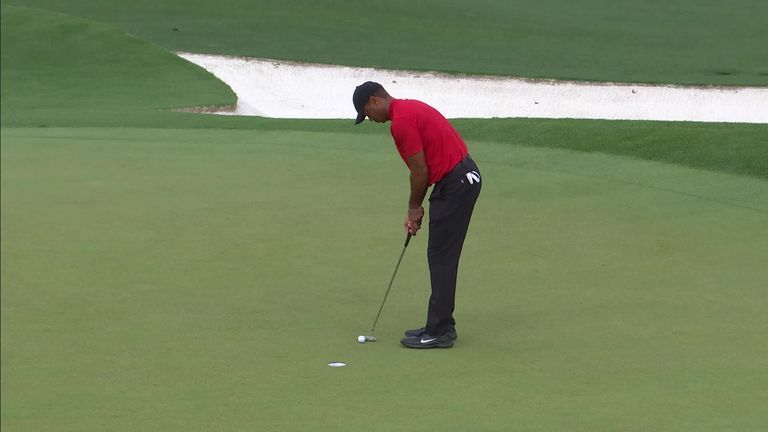 Perhaps it now seems odd to have said that his much-repaired but fundamentally flawed body was functioning on borrowed time, but that is a fact since confirmed by Tiger himself. He said it's inevitable that he'll be troubled by niggling injuries because of his fused back. "The stress has to go somewhere," was how he put it. Happily, there appeared to be no stress whatsoever on Sunday as he strolled serenely towards another moment of sporting immortality. The scenes of celebration will remain vivid for a lifetime. Here was a man genuinely enjoying success and, at the same time, revelling in his own salvation. When he won his other majors, he rightly expected many more to follow, but this time he has no idea what the future holds. How strange that a golfer whose once total command of his peers made the game almost boringly predictable is now showing us we should expect the unexpected. Roll on the PGA Championship in its new slot in May, but for the moment, let's count our blessings to have witnessed at Augusta National a special moment in sport and a valuable lesson in life.